What is a Jejunostomy feeding tube? How long will I need the Jejunostomy tube for? 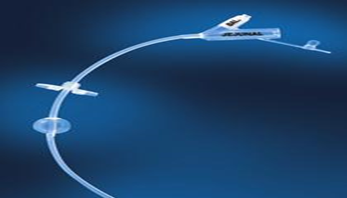 This leaflet contains useful information and advice for patients leaving hospital with a Jejunostomy feeding tube, how it works and how to maintain it. It also lists specific interventions of what to do should you encounter any problems. We hope it will be helpful to you. If you have any questions, please do not hesitate to contact a health professional. Flush with 30mls of sterile water pre and post feed and medication. Additional flushes can be given as indicated by your dietitian. If during the first 7 days following your tube insertion you notice any leak of fluid around the tube, pain on feeding or flushing, or there is fresh bleeding, stop the feed immediately and contact Ward 14 at Castle Hill Hospital. 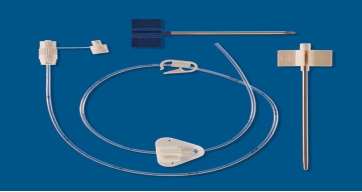 This information outlines procedures required to care for and maintain your Jejunostomy/Jejunal/Jej feeding tube and supports the training which you will receive in hospital prior to discharge. By following these procedures the risk of any minor complications arising will be minimised and any troubleshooting issues easily managed. 3. What is a Jejunostomy feeding tube? A jejunostomy (or Jejunal) tube is a soft tube which is inserted into your small bowel, jejunum at the beginning of your small intestine just below your stomach. This will be completed by a trained specialist in a hospital theatre. When feeding into your stomach is not a viable option. You are unable to swallow enough food or fluid to meet your nutritional requirements. It is anticipated that future treatments may cause temporary loss of appetite or swallowing difficulties. The feeding tube can be used to top up your oral intake or provide all your nutritional requirements and is a safe, discreet and effective method of receiving short to long-term nutrition. Tube feeds contain all the necessary energy and nutrients normally provided by a balanced diet. The dietitian will calculate how much feed you will need to meet your nutritional requirements and will liaise with you as to the best method of feeding delivery, taking into account your home circumstances and life style. 4. How long will I need the Jejunostomy tube for? The consultant will make the decision on how long the tube is required for. Usually for surgical patients review will be at your follow-up appointment (usually 4 – 6 weeks after your operation) and will depend on whether you are meeting your full nutritional requirements by mouth. However, for some medical conditions follow up and review will vary. This will be discussed with you on the ward. You may have one of the following feeding tubes in place, if you are unsure of which type you have, the consultant or ward nurse will be able to clarify this. This is a rubber latex free tube that is stitched to the skin to keep the tube in place, occasionally a securing device may be used. A measurement on the outside of the tube may be recorded by the nurse for future reference (depending on the type of tube). This is helpful if at any time, it is suspected that the tube has become displaced/moved. A dressing is not required around the tube unless it is oozing during the days. The stitches are removed at 10 days. It can be possible for the stitch to become loose from the skin, if this occurs secure the tube with the tape the ward gave you on discharge to stop the tube moving. You should then contact Ward 14 at Castle Hill Hospital for further advice. Do not turn or rotate the tube. 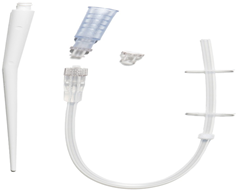 The feeding tube is made of polyurethane, it has an external fixation plate and clamp. It is used for intrajejunal nutrition after your operation. A dressing is not required around the tube unless it is oozing. The feeding tube is made of Silicone and is kept in place by an internal balloon that keeps the tube from falling out of the stomach. It also has a retention ring that keeps the tube from moving. The balloon is filled with sterile water. Your consultant will advise on how many mls are in the balloon. You will be shown by the nurses on the ward how to check your balloon position each week. The basic principles of care for each tube will be the same. It is Important to undertake the following procedures outlined, as the position of your tube means that the stomach acid is bypassed, acid which would normally provide natural protection from contamination of germs entering into your small bowel. Therefore it is very important to ensure that your hands are washed and dried thoroughly prior to undertaking any tube related task. The area where the tube enters your abdomen is called the stoma site. Your stoma site and tube need to be cared for to reduce the possibilities of soreness or infection. A small amount of discharge from the stoma site is normal within the first few days. Wash and dry your hands before and after caring for your tube. For the first 5 to 7 days your site will be cleaned using an aseptic technique. Please check your stoma site daily and check for any redness, inflammation or bleeding. Dressings are not usually required after the first 5 to 7 days. Leave the tube open to air to heal. However, a transparent dressing may be used to cover the site for your comfort and to prevent the tube from becoming dislodged, whilst also aiding observation of the stoma site. After 5 to 7 days your site needs to be kept clean. Clean the site and stitches/sutures on alternate days (more frequently if there is a ooze from the site) using gauze squares/sterile saline solution, using non perfumed soap and warm water, and dry. Do not use talcum powder or creams around the stoma site as these may irritate your skin and damage the tube (only cream prescribed by the health professional should be applied). Baths are not recommended until the tube has been in place for over 14 days and the stoma tract has had time to heal. In the meantime, showering is acceptable. Once the wound is fully healed you can bath or shower as normal. If your tube is not required for feeding. It will still require flushing to prevent a blockage. Do not use smaller sizes as this can increase the pressure on the tube and potentially split it. Single use syringes will be provided by the ward nurse on discharge. When you are receiving feed via your tube, it is important to flush the tube with sterile water before and after each feed promptly. It is important not to lay flat when feed is in progress unless your medical condition means it is inadvisable. Your head and shoulders should be raised on extra pillows at a minimum 30° angle and for at least 30 minutes after a feed in order to prevent regurgitation of feed and heart burn. When your tube is not in use it should be flushed 3 times a day with sterile water. The dietitian will discuss with you the most suitable way for you to be fed. Exactly how much feed you need will also be calculated. An enteral feeding pump is usually required to administer feed, unless otherwise directed by dietitian. The dietitian will make arrangements for you to receive training on how to use the pump and giving set. This training usually takes place in hospital until your confidence and skill is gained in undertaking these procedures. Ongoing support will be available when you are discharged home. The giving set and bag of feed should be changed after 24 hours, irrespective of the amount of feed left in the bag. When you are receiving feed via your tube, it is important to flush the tube with water before and after each feed promptly. You are advised to flush the tube 4-6 hourly during the day to help prevent blockages. It is important not to lay flat when feed is in progress unless your medical condition means it is inadvisable. Your head and shoulders should be raised on extra pillows at a minimum 30° angle and for at least 30 minutes after a feed in order to prevent regurgitation of feed and heart burn. Any pain, bleeding from the stoma site or leakage experienced during feeding to stop feeding and contact the ward. Remember to flush the feeding tube with sterile water before and after feed/medications using ___________mls. The patient requires an estimated fluid intake of ___________mls per day. Try 10 to 20mls of warm, sterile water. Use the syringe plunger to apply gentle pressure and then suction in order to withdraw the contents of the tube. Gently squeeze/roll the blocked section of the tube between your finger and thumb to help disperse the blockage. Repeat the advice at 20 minute intervals. If the tube remains blocked contact your key contacts. The contact details section is located at the end of this leaflet. When attempting to flush the tube do not use excessive force as this may damage your tube. Do not try to replace the tube yourself. Cover the stoma site with a piece of gauze dressing and apply tape. You will need to have a new tube inserted as soon as possible. If possible bring your tube into hospital with you. Contact Ward 14 at Castle Hill Hospital for additional advice. The contact details section is located at the end of this leaflet. Medicines should be in liquid form wherever possible. Flush the tube prior to and after each medicine is administered. Draw up each medication separately (dilute medication if necessary) using a purple syringe (Enteral syringe). Flush with at least 10mls of sterile water between each medication. After your last medication, flush using a push pause technique. Creating turbulence within the tube when flushing will help to remove particles within the tube. (Your nurse will show you how to do this). All equipment, including unopened feed, should be kept in a cool, dry place. Any opened, unused feed should be discarded by pouring down the sink and rinsed away. Before you go home the nurse will discuss general care of the tube and demonstrate the flushing technique and the other things discussed in this leaflet. Prior to discharge you will be provided with a 10 days supply of feed, giving sets, syringes and other equipment, as required from the ward. Thereafter, these will be provided by Nutricia, a home care delivery company. A Nutricia homeward nurse will contact you in the hospital or at home to arrange delivery of feed. They will also provide you with a contact name for when you are n the community for if you require help with your feed, feed pump or equipment. If you have any concerns relating to your tube/feed please contact a key professional on your list of contacts.